Features the title story, a tale left unfinished by Lovecraft at his death, completed by August Derleth; it is a tale of the Great Old Ones, Cthulhu, Yog Sothoth, and other figures of the Cthulhu Mythos. The 20th anniversary Arkham House publication features a collection of stories and essays by Lovecraft, Derleth, and other of his friends and admirers. Collects the stories of Lovecraft that he acknowledged to have originated in his dreams: Nyarlathotep, The Thing in the Moonlight, The Shadow Out of Time, and five others. The first volume in the collected works of H.P. Lovecraft, featuring an introduction by August Derleth; preserves the best of Lovecraft's short stories, including the title story, plus Pickman's Model, The Rats in the Walls, The Outsider, and twelve others. The second volume in the collected works of H.P. 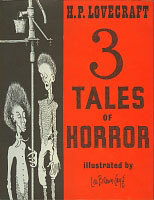 Lovecraft preserves his novel length tales; includes the title novel, plus The Shunned House, The Case of Charles Dexter Ward, and five others. The third volume in the collected works of H.P. Lovecraft; includes the title story, plus The Tomb, The Lurking Fear, Beyond the Wall of Sleep, and 34 other stories and story fragments. Collection of stories, essays, and a play by Lovecraft, plus collaborations, a biography, letters, and other items. Special oversize volume featuring three of Lovecraft's best tales: The Colour Out of Space, The Dunwich Horror, and The Thing on the Doorstep. Six tales from Lovecraft's "Dunsanian" period, including the short title novel. More tales from Lovecraft's "Dunsanian" period, including the title story and 19 others. Reprint of the 1963 Arkham House collection titled Collected Poems. Reprint of the 1957 Arkham House collection of the same name; includes seven unfinished Lovecraft stories completed by August Derleth. 22 stories, including all of Smith's Atlantean and Lemurian tales, plus others. A collection of 17 nonfiction writings by Lovecraft, organized into four topics: Science, Literature, Philosophy, and Travel. A collection of all of Lovecraft's poetry, over 100 poems in all, including some previously unpublished works. 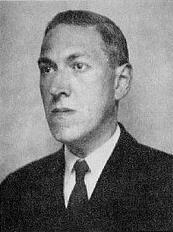 Howard Phillips Lovecraft never saw a collection of his own work published during his lifetime. However, since his death in 1937 he has never been out of print, and there have literally been hundreds of different editions published around the world. Over the years, several dozen of these have found their way into my personal library. For this feature, as with the other authors I have presented on this site, I have selected some of my favorites. Foremost among these is the first book shown at left: The Outsider and Others. This book is arguably the most significant edition of Lovecraft's work ever published. As such, it is also one of the rarest and most valuable. It is significant because it marks two firsts in one volume: it is the first collection of Lovecraft's work ever published, and it is the first book published by Arkham House, the specialty press formed by Lovecraft friends and admirers August Derleth and Donald Wandrei for the purpose of preserving his works in print. Other notable features of this edition are its cover art by the great Virgil Finlay and its size: 10" x 7". Arkham House books were typically much smaller, and only three AH titles were ever printed in this oversized format. Besides the Outsider, these included W.H. Hodgson's House on the Borderland (see my Hodgson feature) and Skull-Face and Others by Robert E. Howard.